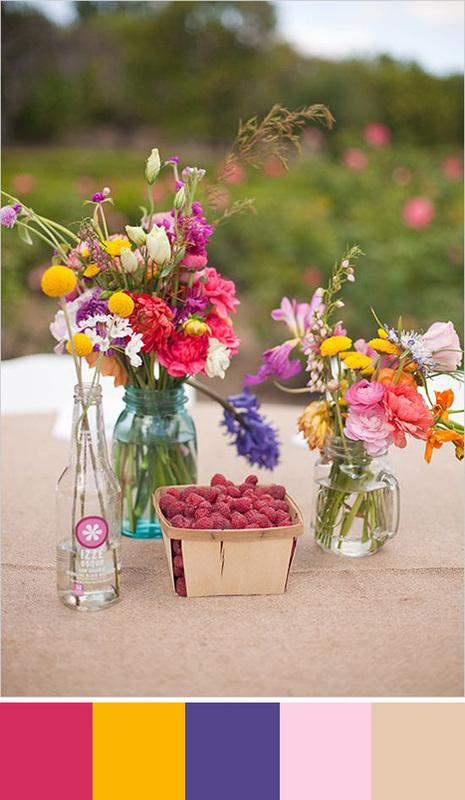 Blush pink is a popular wedding color choice these days, but if you prefer your pink to pack a little more punch, might we suggest Raspberry instead? Bright and bold, Raspberry pink is what we like to call “pretty with attitude”. 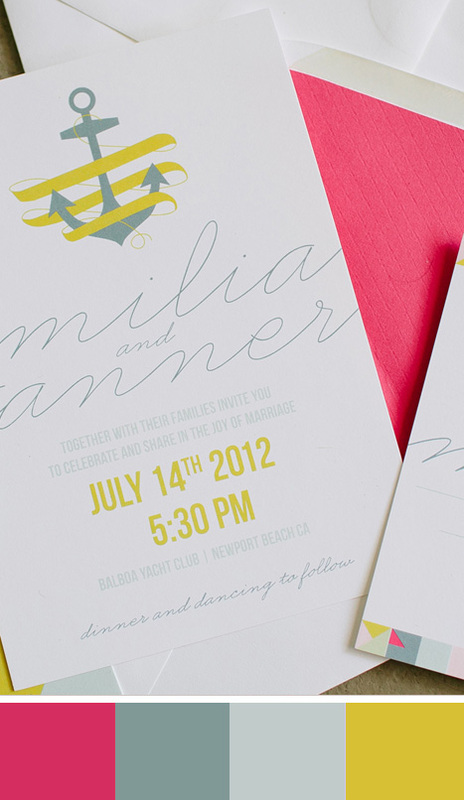 It’s a super fun color, perfectly suited to the festive celebration that is your wedding day. 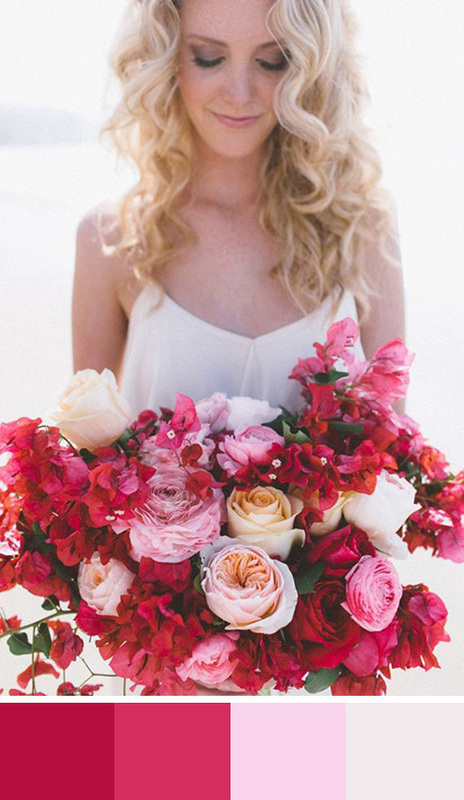 If you love bright pops of color, this color palette is for you! Like a ray of sunshine on your wedding day, it’s guaranteed to make you smile all day long. 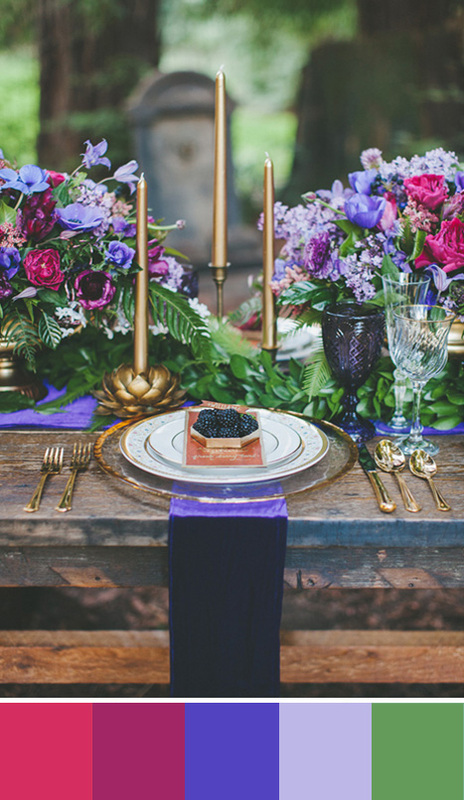 Purple is a hot color this year and pairs well with Raspberry pink for a dramatic jewel-toned color scheme. 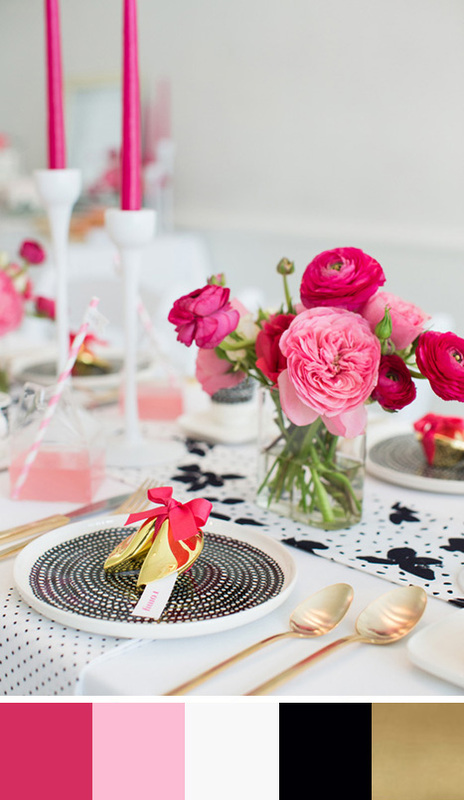 We love pairing pink and red together; it’s a bold choice, and while it’s not for everyone, it is oh so chic! This one is similar to the last color palette, but the addition of black and gold gives this color scheme a sophisticated Kate Spade feel. This almost neon color palette is slightly more muted and sophisticated than a full-on fluorescent pink and yellow combo, while still being super hip and on-trend.